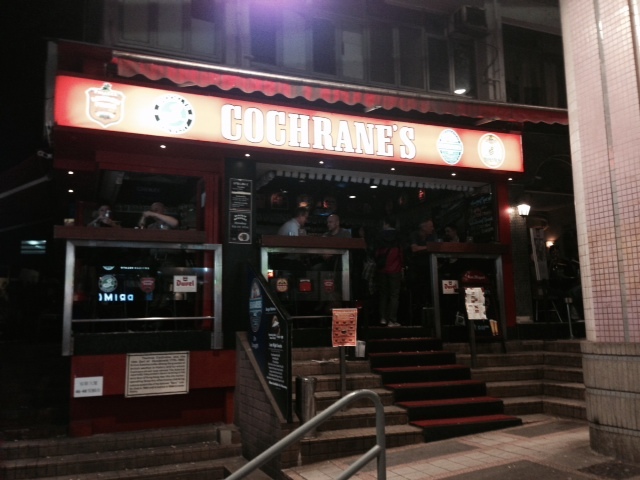 It was my last night in Hong Kong and I was wending my way through Central to pay my final respects to the Roundhouse (more on that later) when I stumbled across Cochrane’s. It’s on a pedestrian part of Cochrane Street between Wellington and Gage Streets. The place was packed tighter than a fat fellow’s sock and it was only that I was travelling solo that I was allowed in. 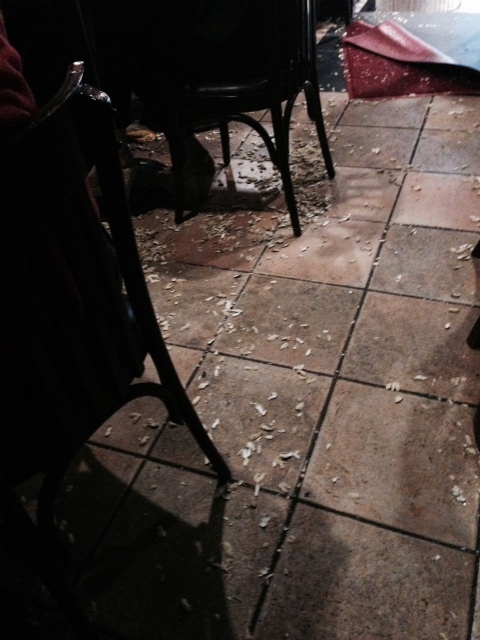 Like the Hong Kong Brew House, free peanuts are always available and the floor is crunchy with shells. There’s the unusual sight of seeing pigeons fossicking under patrons’ legs without bird or Homo sapiens caring too much. 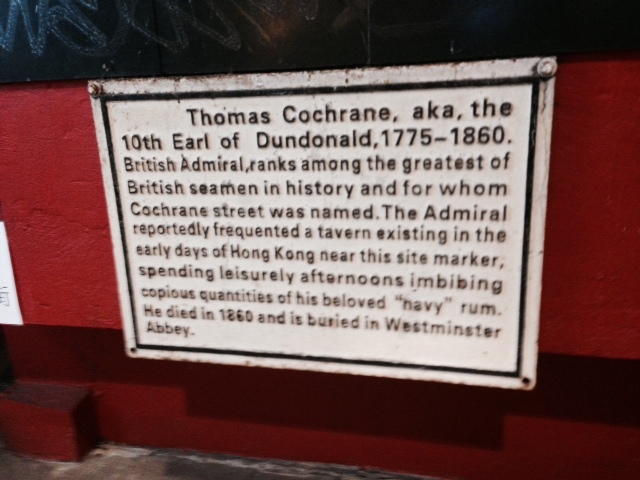 What drew me into Cochrane’s was the sign trumpeting Seafarer’s Ale on tap. What the pleasant surprise was was a fridge bulging with British Ales. 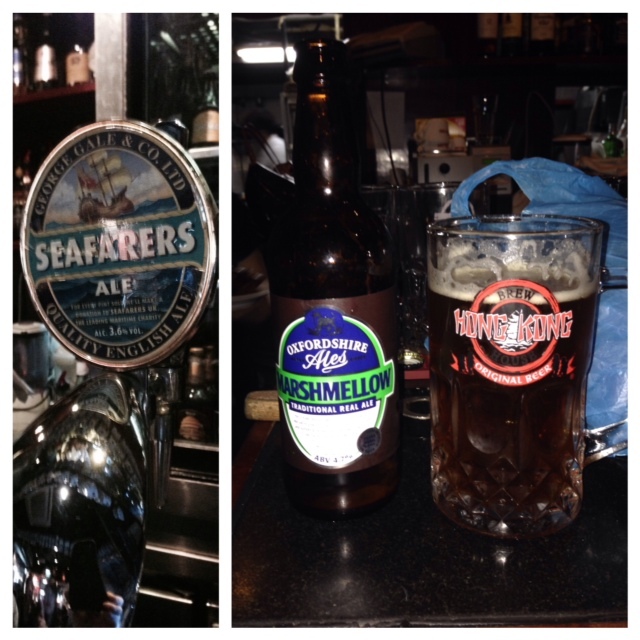 Before grabbing a Seafarer’s, I tried a bottle of Marshmellow, a stupendous ale from Oxfordshire Ales. That was a mistake. The Marshmellow was big, and malty caramel. It completely overwhelmed the Seafarer’s Ale, which was insipid in comparison. I’ll reverse the order next time. Loved the history of Thomas Cochrane.